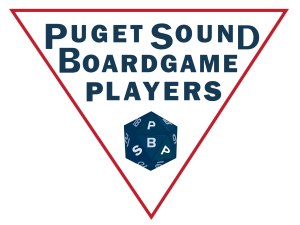 Puget Sound Board Game players is the brainchild of 1.5 persons who combine their passion for board gaming with their semi-passion for old time radio dramas (with the intention of monthlyish updates). Christopher Dauwalder works as an Investigator that recently arrived in Washington after a 14 yearish stint in Southern California. P​agu McGrarrett foolishly agreed to volunteer his time in this hare-brained endeavor. Julienne Alexander is gracious enough to slum it with us and provide all of our artwork. Copyright © 2019 Puget Sound Board Game Players. Powered by WordPress and ThemeGrill.